Nestled in the heart of the beautiful Rocky Mountains, the High Country Inn offers the perfect blend of rustic charm and luxurious comforts. Impressively appointed rooms are designed to soothe and relax, providing richness and comfort while blending with the spectacular surroundings. Deep duvets, private decks and mountain views will make it hard to leave your room, but our list of in house amenities will draw you out. Unwind in our indoor pool, hot tubs or sauna, or relax with a book in front of our large lobby fireplace. We also highly recommend our award winning restaurant, Ticino. 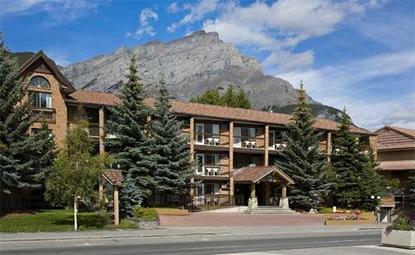 Ticino is considered by locals and media to be one of the finest dining establishments in Banff. The Swiss/Italian cuisine will please even the most demanding palate.